Off to see this next month with colleagues. 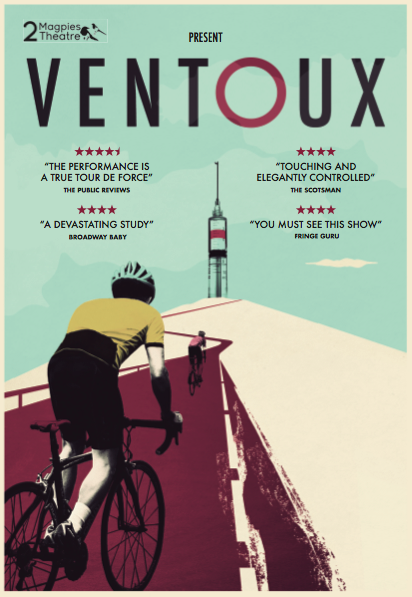 Ventoux is a famous mountain stage on the Tour de France. It's a peak called 'the Beast of Provence', and is almost 2000m high. It is an exposed summit, and the wind can be so strong that the stage has to be shortened. It's the mountain where Tom Simpson succumbed during the Tour de France in 1967 and it was also the scene of a famous duel between Lance Armstrong and Marco Pantani. It also came back into the news last year when Chris Froome was forced to run up part of the way after a crash damaged his bike. I'm organising a trip with other colleagues to see the 2Magpies recreation of this duel next month. You can find out more about the performance here, or watch the video below.